Barely a Bundesliga weekend goes by without a video being posted to Twitter showing Jadon Sancho’s latest assist or piece of skill. The 18-year-old England youth international took the decision to leave Manchester City for Borussia Dortmund in 2017 and with the No.7 shirt on his back he has been showing why he has been tipped to go all the way to the top. Yet so far this season it is another former City prospect making the headlines in Germany. Javairo Dilrosun already has two goals to his name and nobody in the Bundesilga has more than his three assists. 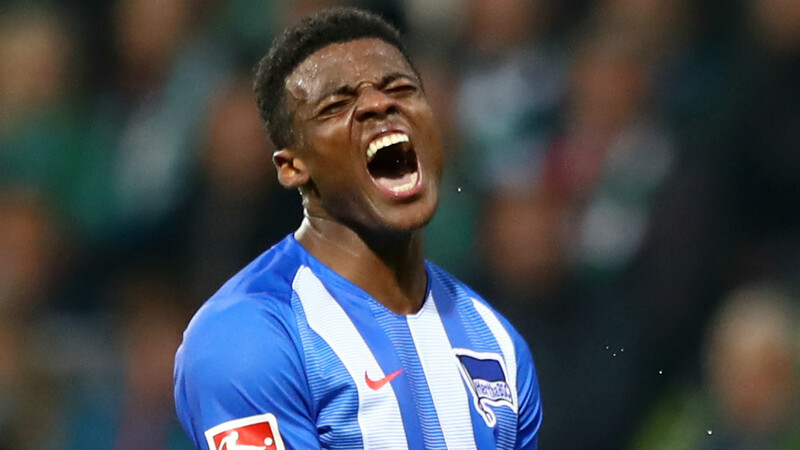 The 20-year-old winger moved to Hertha in the summer to little fanfare and actually started the season with the second team, playing a fourth-tier regional league fixture. Since then he has played 356 of a possible 360 minutes for the Berlin club, but even then he needed a slice of luck to get into the senior side. The Dutchman was on the bench for Hertha’s second game of the season, at Schalke, and was only thrown into the action when Karim Rekik – another Dutch former City youngster – went off injured after six minutes. Nine minutes later Dilrosun took a long ball forward in his stride to put himself in behind the defence and pick out his striker for his first assist of the season, and since then he has been a mainstay on the left wing. He has looked a constant threat on the flanks, with his pace and technique posing problems for Bundesliga right-backs. In his second appearance he scored his first goal for the club, in his next game he notched two assists and in the next he was on the scoresheet again. It is still early days but so far he is out-stripping all expectations. His arrival in the summer did not turn many heads and it must be said that at City there was no real sense of loss at seeing him go, even though he was regarded as a promising talent. The decision to leave City was his. The Premier League champions offered him a contract but he saw Raheem Sterling and Leroy Sane, neither of whom are much older than he is, far ahead of him in the pecking order, and younger players like Phil Foden and Brahim Diaz given far more first-team exposure by Pep Guardiola. Dilrosun saw Sancho’s success in Germany and decided to move on. So far it seems to be a decision that has worked out for all parties.